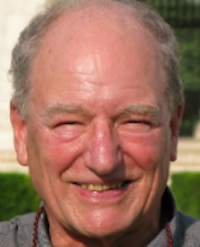 Michael Wiehen is a Founding Member of PTF e.V. and an early member of Transparency International (TI). He served as Member of the Board of TI, he set up and chaired for several years the Membership Accreditation Committee and still is an Individual Member of TI, a Member of the Advisory Council and a Senior Advisor on Procurement. He also helped set up, and served as Chair and Board Member of, TI-Germany and finished his service there as Ethics Advisor. Previously, after getting law degrees from Germany and the US (LLM Harvard), Michael had served at the World Bank in Washington, DC from 1961 until his retirement in 1995, since 1974 at Director level managing programs in Asia, Africa and South-East Europe. Michael represents TI on the International Advisory Group on Procurement of the World Bank and as Chair of the Committee on Transparency and Integrity of Finance Watch, a Brussels-based European NGO. In addition, Michael is a member of several organizations active in the environmental and charitable sectors.